Defying a trend toward keyboard oriented groups, Idle Threats successfully carved their own power rock turf with a no compromise sound featuring screaming lead guitars, ground shaking rhythm section, four lead vocal capability and a singer on fire (once literally) with a range between 2nd tenor and ozone layer. 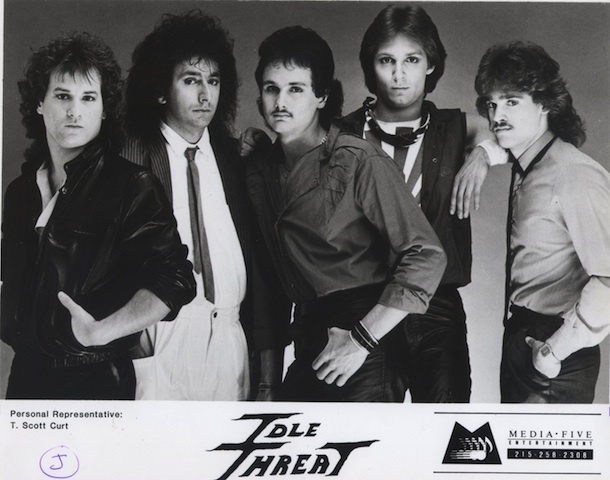 Defying a trend toward keyboard oriented groups, Idle Threats successfully carved their own power rock turf with a no compromise sound featuring screaming lead guitars, ground shaking rhythm section, four lead vocal capability and a singer on fire (once literally) with a range between 2nd tenor and ozone layer. Description from a equipment manager: "They're either going to rock the house and blow the windows out or go home."